Red Line Synthetic Oil. BMW: What Red Line Products Do I Need? BMW: What Red Line Products Do I Need? Like their Boston-based Turner Motorsports, Virginia's BimmerWorld back up their sales and race-prep with racing team that wins on a national scale. BMW enthusiasts have had an affinity for Red Line products from our earliest days. Given that Red Line's home turf is Northern California, one of the highest concentrations of BMW vehicles outside of Germany, the popularity makes sense. What has kept this going for almost 30 years is the ability of Red Line products to help new and old BMWs perform at their highest potential. Red Line works closely with some of the best BMW mail order operations and performance tuners in the country, including Bavarian Autosport, Bimmerworld, BMP, Dinan, and Turner Motorsports to name a few. Our communication with these experts leads to product recommendations based on factory recommendations, feedback from technicians, and interaction with performance enthusiasts. The notes in this column should act as a general overview As always, we first cross over to the factory's lubricant specification, see where Red Line's product benefits provide merit, then evaluate from there. Recent years have brought much controversy to the topic of BMWs and motor oil; given BMWs unprecedented drain intervals and Castrol relationship at the dealership level. We have much respect for BMW and many at Red Line are BMW enthusiasts, but photos like you see in this article back up the consumer's concern. 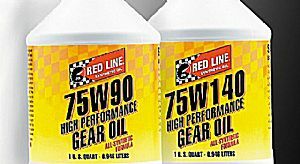 To start, Red Line recommends our 10W40 Motor Oil for engines up to 1998 and our 5W30 Motor Oil for engine from 1999 and up. As for the M-cars, track day activity, and specialty applications, many select Red Line motor oils for their stability at temperature, so moving up an oil weight is likely to cause a loss in power and fuel economy. 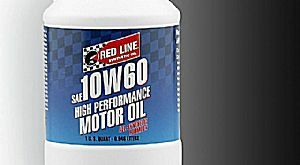 Red Line's 10W60 Motor Oil has actually been on the market for a few years, but was mostly sold in Asia. This product has now been released in the USA as an option for BMW enthusiasts that strictly follow the factory's recommendations. Most E36 and E46 cars run fine on the recommended 5W30-even with all but the most dramatic aftermarket mods. The need for 10W60 motor oil in the M-cars is questionable to many (including Red Line, as we've seen customers run as light as 5W30 in E46 M3s without issue), but we now offer this product for sale in North America (we have sold this product in Asia for many years). Folks like Bavarian Autosport smartly recommend that that their Red Line customers use the lightest weight that's appropriate for seasonal conditions. We don't argue that. Tuning shops like BimmerWorld have switched to Red Line products for both their customers and their racecars. Owner and race driver James Clay brought to us serious concerns with over sludge issues on cars that have followed BMW's drain interval recommendations and the oil supplied at the dealership. This is NOT an engine that ran on Red Line motor oil. 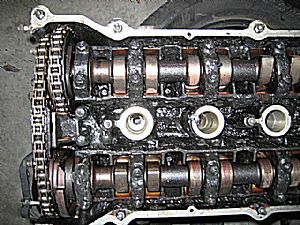 These photos are of a typical M54 engine, standard in E46 and E39 non-M cars from 1999 through 2005 that was filled with standard oil at the dealership. This nasty sludge can cause piston ring land carbon, oil feed clogging, drain back issues, deterioration and clogging of crankcase ventilation hoses and oil separators, and even VANOS issues. These photos are of a typical M54 engine, standard in E46 and E39 non-M cars from 1999 through 2005. Clay has found that the shear stability and detergency of Red Line's motor oils help in keeping sludge issues like this under control. Bavarian's expert Gordon Arnold adds that this nasty sludge can cause piston ring land carbon, oil feed clogging, drain back issues, deterioration and clogging of crankcase ventilation hoses and oil separators, and even VANOS issues. 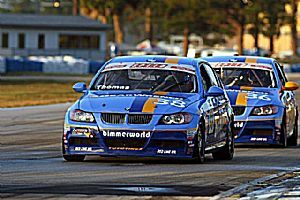 Speaking of VANOS, the BimmerWorld guys have done motor oil testing with their SCCA World Challenge cars-they report that changing oil weight has not had an effect on the system?s variable valve train control. They see no timing change due to different viscosities. As for drain interval, Bavarian recommends 7000 mile oil changes (due to contamination, more than oil break-down) and we tend to agree, though we know of customers going much longer on our products with their BMWs. 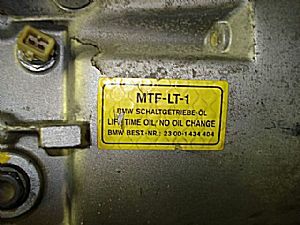 This tag is an example of what you're looking for when climbing under your BMW to identify the transmission type. As with the motor oil, the extended drain intervals (or lack of a recommendation to drain) on BMW automatics is a major issue for many experts and technicians in the field. Many of our customers have found improved wear characteristics and performance by swapping out BMW's longlife fluids for Red Line D4 ATF. Red Line is known for producing products that pinpoint an application, but D4 ATF meets the needs of a variety of late-model BMW needs, including many automatic and manual transmission. Independent shops often stock this product in 5-gallon pails to dispense as an upgrade for their customers. Here's a link to the Bavarian Auto Newsletter to a few great stories on how to do this swap (navigate to the Spring 2006 and Winter 2003-2004 issues). Changing it out every 50,000 miles sounds like a good plan. 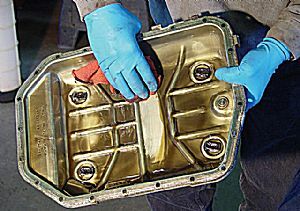 Otherwise, you may find the sludge that our expert Gordon found in this 5-series oil pan. Enough said. Manual transmissions open up a whole load of topics, but the feedback is overwhelming that our fluids help improve performance and cold operation due to stable viscosity, balanced friction (so that syncros can slow down enough to match up), and more-than-sufficient antiwear additives. Many who pull the transmission pan on their BMW automatics find this sludge and get satisfaction out of swapping the Longlife fluid for the correct Red Line product. While respected BMW tech expert Mike Miller (and Bavarian, as well) confidently recommends MTL for every BMW manual gearbox without complaints, Red Line follows a baseline closer to the factory recommendations. The early gearboxes (through 1983) take our MTL, a 70W80 GL-4 fluid. From 1986 to 1992, it is a bit trickier in that there are three different transmissions identified by a label on the passenger side of the bell housing. That with a green label and a 17mm hex drain plug uses MT-90, a red label and 17mm plug uses D4 ATF, and that with no label and a 15mm drain plug uses MTL. From 1993 on, we recommend D4 ATF (yes, ATF in a manual transmission). The only late-model exception is the 2006 Xi trans, which takes D6 ATF. Whew, that's a lot to remember. For the most part, these transmissions take less than 2 quarts. The typical exceptions are the 8-series cars before 2000 (just under 2.5 quarts) and the M5's 7-speed (from 2005), which requires just less than three quarts. Compared to transmission, BMW differentials run on one of these two Red Line products, depending on make and model. Where it is more difficult making motor oil and transmission recommendations, it is relatively easy to match up Red Line GL-5+ gear oils with a BMW diff, in that many run on our 75W90. This gear oil has the extreme pressure additives that you need to protect the extreme loading of the ring and pinion, as well as just enough limited slip friction modifier to help the LSD to operate properly and avoid chattering. The differentials equipped with multi-disk LSDs (1992-up) take our 75W140 (which also comes with the friction modifier already included). Many ask how much Water Wetter to use, but we have not found a BMW yet with a big enough cooling system to require more than one bottle. For many years, our SI-1 Complete Fuel System Cleaner has been a favorite of BMW dealership and independent technicians for ongoing upkeep of the fuel injectors, combustion chambers, and other related areas effected by carbon buildup. A full bottle every few months does the trick and also helps troubled cars get through stingy emissions tests, our customers report. 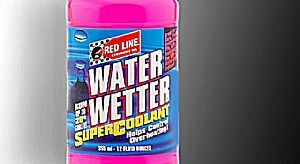 WaterWetter is also a useful tool in controlling BMW temperatures, as this product is totally compatible with glycol antifreeze. Remember that you only need one bottle, as two is not necessarily better. We hope this simple clinic gets you more up to speed on what Red Line products are recommended for your own BMW. As a parting shot, we?ve included a list to make easier cross-references to what we have spoken about here. Also, be sure to visit www.bavarianautosport.com and www.bimmerworld.com for more detailed tech info. Green and Red labeled transmissions have 17mm external hex drain and fill plugs. Non-labeled transmissions have 17mm internal hex drain and fill plugs.